A mama's hormones are a funny thing. Our little Everett is healthy and happy, with only a mild case of jaundice. 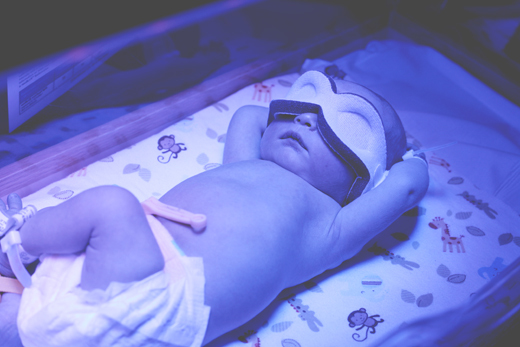 (Not uncommon for babies born a little early) But seeing his little naked body laying there under those blue lights, all alone in the nursery - even if he had his luxurious spa goggles on - completely broke my heart. Luckily, the nurses got so tired of having a tearful mama sitting by his nursery cart, they let us take him back to our room. And then last night- take him home with a special lighted blanket for babies with jaundice, called a Bili Blanket. So happy he's home - our little blue baby. Currently upstairs fast asleep, all lit up like a mini avatar. I've never been so tired. But never so fulfilled. Or so in love. Off to catch some much needed zzz's. Love him!!!!!!!! Catch some sleep!! This is so precious. What a lucky boy he is to have such a loving mama. aw congrats guys! I have never heard of a bili BLANKET that thing ROCKS! I was trying to figure out when exactly you were due/how early he was??? I am due in 6 weeks and I could have sworn we we closer together than this! He is absolutely perfect! I hope you are able to get lots of rest! Wishing and praying for the best with you and your adorable family! so adorable!! so glad you guys were able to go home already! get some rest, Sydney! Congratulations Sydney! He is perfect! So glad everything went well for your sweet little family! The most beautiful blue baby, ever. We're all thinking about you! Get some sleep you new mommy! congrats!!!! he is absolutely perfect! Keep hanging in there pretty mama!! And sleep whenever you can!!! Precious baby. Get a good rest. God bless your family. Oh my goodness, he's perfect! Congratulations! Oh he's so precious! You are not helping my (or my husband's) baby fever! He looks like he's livin the dream in that first picture! Haha how adorable! Hope his jaundice clears up quickly! Both of my babies had jaundice, no fun! When all you want to do is hold them! So adorable, congrats and get some rest! Get well soon little baby! One of my kids had jaundice too & I was also weepy and overly emotional in the Nicu..those poor nurses. It's just really hard when you can't hold your baby. Glad you are home. So precious Syd! He's totally having spa day with outstretched arms and Mama's soothing breathing...baby blues be gone...praying for a speedy recovery babe! i know how your heart hurts! my daughter was under those same lights for what seemed like forever....he is adorable though! congrats!!! awh it looks like baby E is just chillin' and lovin' Earth in the first picture! I AM SO PROUD OF YOU! birthing a baby. wow. sweet dreams! He is so precious!!! Oh you're the same as me--when our little Jude was born I had to hold back the tears when he cried through his first bath at the hospital...mommy's are just obsessed with their little ones. Over the moon for you two--enjoy every moment of your sweet little guy! That photo of you looking down on him is one of the most precious things I've seen. Congratulations and many blessings your way. He is so adorable! May the fun begin soon. He's an absolute stunner. Congratulations!! that first picture is so cute--he looks like he's just kickin' it at the hospital. that's a keeper. Not like I'm surprised given you and your hubby's good looks, but you two did well! That is a seriously handsome baby boy. And I don't just say that...for reals, he's so handsome. Thank you for sharing your baby's pictures with us. I know exactly what you mean! Parenting throws your heart right out in the deep end when you have to watch your own child go through this. When my daughter was born she was diagnosed with jaundice. We were sent home with a bili blanket, had more tests run and then we got what seemed like the scariest phone call asking us to come back to the hospital for Eva to go under light therapy. At the time, it was horrible. You just want your baby to be 100% healthy. I realise how "minor" the issue was, but you couldn't tell my heart otherwise. I'm sure Everett will be fine. More than fine. so happy he is home too!! congrats again! he's still beautiful, u know it ;) please get some rest!!!! You are blessed. He is beautiful. I love it! I had a similar case when I was born too. I can really feel the love just by reading this post. He is lucky to have a mom like you. So loving... so in love. :) My heart melts. 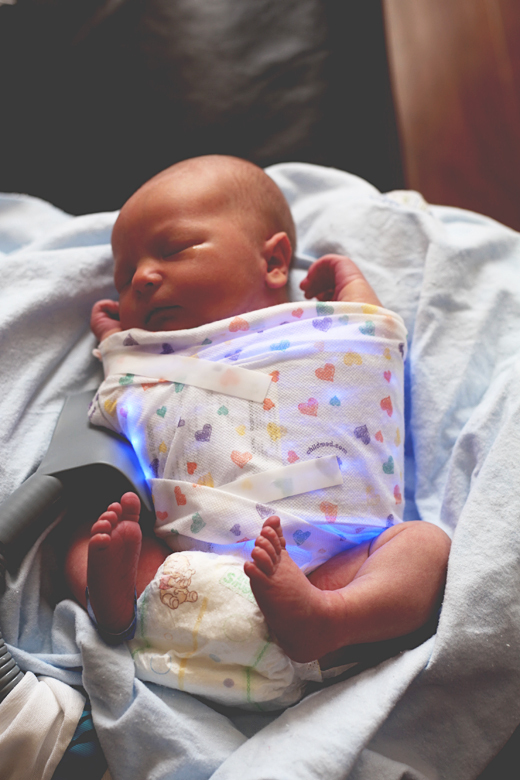 My son had a mild case of jaundice as well when he was born and I cried all night by his side under those blue lights. But I just prayed while holding his teeny hand and we were able to take him home shortly after. So happy for you and your hubby...he is a beautiful and blessed little boy! seriously the most beautiful baby boy ever. praying he feel better soon. . . and that you get sleep. he look so cute and adorable! i hope everything will be fine asap! he certianly does look like a little sunbather. He'll be without a trace of jaundice before you know it! Plus, it happens even in babies born at 40 weeks and over! Congratulations again! Precious. You're such a good mama already. Don't worry bout him, he seems to be having the time of his life. Just some sunbathing he says in that first pic! Such a beautiful baby boy! Congratulations on your family! Now no more blogging, bet in bed!!! He's just perfect! And oh-so-stylish with his spa goggles and futuristic blanket! Aww he is just the cutest little thing! These photos are so sweet. And that first one of him, he looks pretty chill just kicking back in his little tank, almost like he's sprawled out on a beach blanket. Somebody get that kid a (virgin) pina colada. CONGRATULATIONS or as we say in Portugal PARABÉNS! The first photo is so cute, he looks like he is in the beach cathing some sun, so funny! He is truly gorgeous...and I can only imagine what it must feel like to worry now that he is outside of the safety of your tummy, even though I am sure you are so thrilled to have him here. Congratulations of your sweet boy! My daughter was born 10/25 and she got jaundice a few days after we left the hospital. They had us rush back in and we had to stay for 2 more nights. She was in an incubator and I was only allowed to take her out for feedings. It was heartbreaking!! We just got home yesterday and have to go back in today to check her levels. At her highest, she was at 22. So terrifying even though the doctors assured me it wasn't that serious. I totally know what you're going through. Hang in there!! Aw, my first had pretty bad jaundice (12) and somehow we dodged the blue lights - but she sat in the sunshine a lot. Glad you're home! I was thinking of you this morning - remembering my first few days/week of nursing and how horrible they were. I hope and pray you are not miserable - BUT, I wanted to give you the advice my friends gave me. She called me a few weeks before I was due and said #1 - don't touch your mushy stomach, it'll creep you out (I did. And it did). And #2 - if you can breastfeed for 4 weeks, you can make it. It's hard those first few weeks - but you can so do it. Hang in there! Hope he's doing well. Well done you two... these will be the very best days of your life. Love Love Love. YAY! I'm SO excited for you and your family. I adore that first photo. He just looks like he's chillin'... catching some rays. He's totally perfect! Too cute; I love that first picture - he's just chillaxin' like a boss. He is truly beautiful! Such a cute little avatar:) Hope you both get some sweet zzzz's. I am so glad everything went well! He is perfect! I'm SO happy your cute little family is all home together... Love it. He is beyond beautiful. So exciting that he's finally home! this post made me tear up. he looks so sweet. enjoy every momment! he is so beautiful, sydney. thanks so much for sharing him with us! Momma hormones are crazy, right?! I think they are what allows us to make it through the first few weeks. Sleep when you can! He is super beautiful. You are giving me some SERIOUS baby fever!!! Congratulations on the arrival of your beautiful baby boy!! I have followed your pregnancy eagerly since your announcement (my husband and I are currently struggling to get pregnant, and your story really spoke to me) and am so happy for you!! Thank you for sharing so much of yourself and your life on your beautiful and inspiring blog. Congratulations, again! And, welcome to the east coast! aww, hes gonna be just fine!! hes a cutie, loving that belly!!!! you sleep, rest, heal, and ENJOY!!! Aww your son is just adorable!! I understand how you feel, and why you're a worried momma. My son had jaundice when he was born as well. It's a hard time filled with no sleep, but it will pass. Enjoy your bundle of love and I hope Everett gets better soon! sydney... i was there just three months ago! i literally cried and cried and cried that i had to bring parker back for a 24-hour stint in the lights... hormones are all out of whack and now the little guy that was just tucked inside you is out and under the lights! it had me all sorts of teary--and i've recovered! so, hang in there. the post partum days are crazy highs and lows but you will feel more normal soon! yay, pictures!! and yay to being home! so so sweet. Awww what a handsome little guy! Hope he gets over the jaundice quickly and that ma and pa get some rest. such a sweet mama... you have a beautiful little boy!! hope you are able to get some sleep. You're the best mom ever! Catch up with your sleep NOW. He is such a cutie! Congratulations again! Sydney he's like your own little Glow Worm (remember those?)! He is beautiful just like his parents. Congrats to you and Tyson! Don't sweat jaundice! All my sibs and I had it...my mom just let us sit in the sun (via windows) in the afternoons. Cleared right up! You look great, he is precious! So happy for youuu! This post sounds like it was written about my exact experience with my son. I was a MESS!! Everett looks pretty peaceful under his bili-lights though :) We also brought the bili-blanket home, which made me feel like my precious new bundle of joy was hooked to a vacuum hose! The good news... he is almost 9 months and as healthy as can be! Baby boys are amazing! This is so precious! I love that youve captured these pictures. Hope little Everett get all better soon! what a cutie! Take care of yourself and get lots of rest. Boy do I remember the hormone rollercoaster. Sydney - He is adorable. Love him and snuggle him. My niece when through the same thing and it is so hard to be the mommy through all that when you are so tired! Rest up! And enjoy that cute little Everett!! he's so precious and looks so relaxed with his little spa goggles on! congrats! Enjoy these moments. They go way to fast. Sleep when he sleeps! Zzzzzz!!!! i love that first picture. just takin' it easy in a blue bed like it's no big deal. good job making a baby. He is so beautiful. I am so excited for you! That second picture just makes me want to cry! I know that look of feeling so sad when your baby is hurting and you feel like you can't do anything about it. Take care of yourself momma & get some rest. Awww that first pic is too precious! Reminds me of the pic my parents took of me "reading" a board book in the sunlight when I had jaundice. Everett is lucky to have such a devoted mama! Prayers for you and your little fam. what a precious little man. and that blanket... quite innovative! He is precious! Congratulations! We had to do the same thing with our little boy. We had the bili bed at home also. I called it a baby tanning bed;) I was so upset too seeing this little helpless thing laying there in a diaper but it goes away fast and you can snuggle with you little bundle soon. He is a cutie! Get some rest girl. Ah! That's awesome you got to take him home! he's so precious! So tiny! My guy was born 16 days ago and he is almost ten lbs!!! When was your due date? How early were you? So cute! Glad you are home! Can't wait to see more pics! awww he's beautiful and i completely understand how seeing your baby that way would be heart breaking, seeing any baby that way is heart breaking already.....hes beautiful and i cant wait to learn more about how amazing he is! Congrats on your beautiful baby boy! I was due a week before you and it was nice to read about someone going through the same things. My little boy Beckett was born on Oct 25th @ 5lbs 10 oz and also had to wear the special "sunglasses" under the lights! Enjoy every moment and can't wait to see more pictures! He is precious! 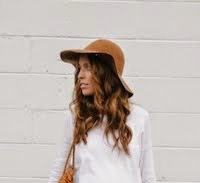 My preggo hormones are making me teary looking at these pics! Congrats!! you guys are going to be just fine....i can tell. go rest up! He's so precious! Being a mom is the best gift in the whole world. Nothing like post partum hormones either. Take care of yourself. What a cutie pie! We went through jaundice two months ago when my sweet girl was born. It was heartbreaking. We also went home with lights for one day but had to go back to the hospital because our home lights weren't cutting it. We spent 4 more days in the hospital. I never knew how serious the condition could be. I cried... A LOT. I felt like she wouldn't know how much she was loved because we couldn't cuddle her all the time. BUT, guess what... It ended! We were able to take our little girl home and haven't stopped loving on her since. everyone told me it would be fine and she would overcome it, but that's easy to say when you aren't in the moment. I totally understand your heartbreak right now. Just take it day by day and enjoy his feeding breaks :) congrats again, you are going to love motherhood. Oh my. His preciousness is OFF the CHARTS. this almost brought me to tears. i don't have any babies yet, but i am so grateful for your blog. it makes something that seems very scary also very exciting and happy. it makes me believe that motherhood will really be as good as everyone says it is. He is delicious!! Congratulations!! All 3 of my boys had jaundice, it will be okay. I hope you get some sleep. Congratulations! My baby boy is due in 3 months! My nephew started out on that blanket!!! We called him glow worm for a good couple months! He adorable, congratulations! Thanks for sharing such special moments with us. He is so beautiful. Congrats mama! oh the sweet baby ! he is so so cute ! Bravo mummy and daddy ! You did a good job ! He's sooo cute. Reading your post made me tear up at work...I'm happy for you. Babies really are a blessing! He is so precious! Get some sleep! Aw poor little thing! He's so adorable .. and you should get some sleep :) I'm sure you are one tired mama. Congrats! What a cutie! Both of my girls had to be little glo-worms because of jaundice. And your right, it's so hard to keep perspective. But if it helps mine are 2 and 5 and perfectly fine. He is so perfect in every way! Congratulations! what a precious bundle!!! Can't wait to hear your birth story...every one is as unique as the child who comes from it!! He's absolutely gorgeous and how cool is that blanket. They didn't have those when I had my daughter. neat! Congratulations!!! What a beautiful little one you've been blessed with. The jaundice is tough, I know. Get lots of rest in these early day and savor every precious moment! LOVE HIM. but i'm sure you feel the same way. ;) get some rest so you can be the best mama ever to that little guy of yours! Oh he is so cute and looks like a glow worm (in his blanket). oh honey! you must have been so stressed out, i really feel for you guys - our daughter had jaundice too. I hope you are getting lots of rest (and cuddles!) and that little Everett is getting better quick! oh wow. he is just beautiful and so perfect. congrats. I can so relate. My little ones all, with the exception of one, had to be under the blue light. Get some rest Mama! your mini avatar is adorable! glad you guys are home! He's just ever so handsome Sydney! So darling, I'm so happy for you! Congrats on becoming a mom Sydney! He's so cute! he looks like he's soaking up some rays in that first pic...SO CUTE. hope he feels all better soon. Congrats to you both, the birth of a child is such a blessing! I had to be induced four weeks early and we had the same jaundice gig. Two days under the tanning bed. It gave me soooo much anxiety, even when we had the blanket at home for a week. esp. because we had to go to the hospital every morning and have her poor little heel poked to test her blood levels. As a new mom that's really rough. so everyone will say, "jaundice is no big deal, it's ok" and it is, but that doesn't mean it's not really hard on you emotionally. He looks so adorable chillin with his goggles! he is stunning sydney.... most congratulations to you and tys.... you are two extremely lucky people - enjoy these peaceful moments between the 3 of you. he's beautiful!! I can definitely see Tyson in him. When Slade was born, he also had a mild case of Jaundice, but we never had to use lights, breastfeeding took care of it. My husband was convinced he was just "tan". haha! Good luck with motherhood, he is just darling!!!! he looks like he's just kickin' it in that first shot! hands behind his head, leg crossed so non-chalantly. I think you're gonna have yourself a little boy with some swaggar! He is so gorgeous! My mom told me I also had to sit under the blue light for a little as a baby. Glad he is healthy and at home now. AWWWWW. my dad was born with jaundice too! and he turned out perfect, the best dad ever. so mister everett will be a-ok, im sure of it ;) what a precious little boy! I know that feeling, but he'll be just fine. I worried so much about my first lil one....too much sometimes. It's hard not to, but relax...he'll be just fine. Beautiful baby boy! Glad he is home and doing better! Love the name. Can't wait to get our little handsome here!